Probably the greatest thing that undermines democracy is the vote rigging of elections. 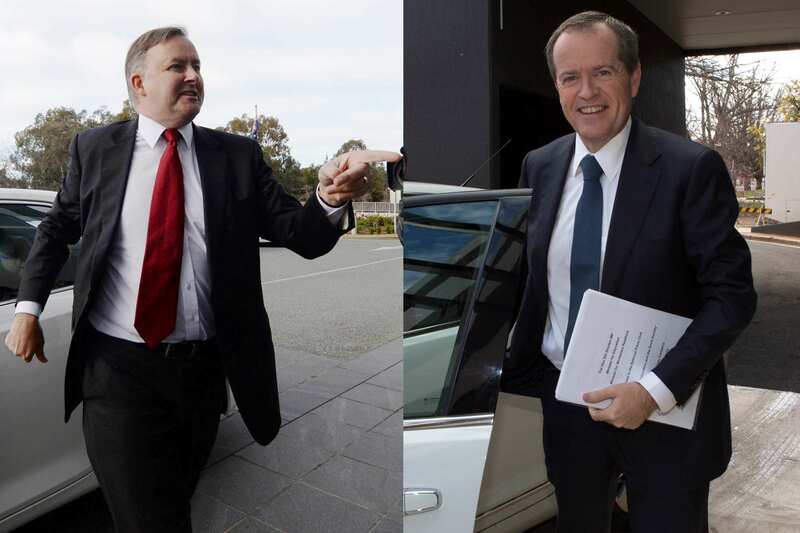 It would therefore surprise many people that the alleged vote rigging of the 2013 Bill Shorten – Anthony Albanese Labor Party leadership ballot has never been fully investigated. It has been almost 18 months since Bill Shorten was elected leader of the Labor Party and his own party are still unsure if he was elected honestly. On Friday (10-4-15) the NSW ALP administrative committee will be discussing the 50 dodgy ballot papers. The papers had mailing addresses altered on the instructions of a former staff member of Senator Sam Dastyari. Mr Dastyari is known to support Bill Shorten. If they admit there were 50 dodgy ballot papers how many were there really? Australia had a federal election in September 2013 with the Prime Minister Kevin Rudd losing to Tony Abbott. Mr Rudd resigned as leader of the Labor Party and Labor had a ballot in October 2013 to elect a new leader which was won by Bill Shorten. Earlier this year it was leaked that some dodgy voting had gone on during the ballot that involved a person who was at the time a staff member of Senator Dastyari. Mr Dastyari has a long history of being involved in vote rigging in one way or another in union elections it would be of no surprise if he was involved in vote rigging for Mr Shorten. 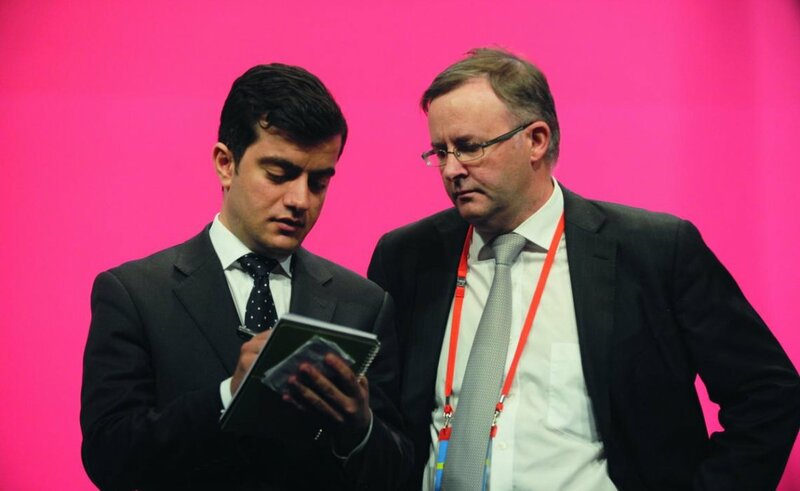 Sam Dastyari – Anthony Albanese “Sorry Anthony, but the numbers just don’t add up in your favour. And I already knew they wouldn’t before the counting started” said Mr Dastyari to Mr Albanese. For any politician to say that allegations of vote rigging is nothing more than a “storm in a teacup” is disgraceful and a true sign of the contempt they have for democracy. In his short time as GM of the NSW Labor branch he was up to a lot of no good which included funding elections at the HSU from dodgy slush funds, paying legal fees for Craig Thomson, trying to bribe Thomson, being personally sued by Craig Thomson’s lawyer for unpaid fees and he has been named at the Trade Union Royal Commission many times. Bill Shorten has many skeletons in the closet and this scandal will be another one raised at the next federal election unless there is an open and public inquiry or a re-election for leader of the Labor Party. Anthony Albanese and Bill Shorten. Everyone in the Labor Party knows there was vote rigging happening but no one will say anything publicly. The chances of a proper investigation are zero and so is a re-election. If there was a proper investigation it is almost certain there would be a re-election because the ballot was so tainted and the Labor Party know this. It would do too much damage to the Party’s credibility so they deliberately hide the truth. What the Labor Party powerbrokers do not realise and/or care about is that in the long-term it will probably do even greater damage to the party. If there are people in the Labor Party admitting that there were 50 dodgy votes then it is quite possible the real number might be 500, 5000 or greater suspect votes. Most people think vote rigging only happens in the third world where countries like Australia send observers during elections to make sure they are run honestly. But it clearly happens here as well. If things don’t improve then maybe at the next federal election in Australia we should ask the likes of North Korea’s Supreme Leader Kim Jong-un or Zimbabwe’s President Robert Mugabe to send observers. For a free email notification when there is a new post on this website just enter your email address at the top right of this page where it says “Follow this site via email”. On average there is 2 posts a week. And I believe the polls are rigged too. It is impossible to believe that the Short one is preferred PM over Tony Abbott. I would not trust him to walk my dog. Dastyari has certainly acquainted himself well with our vernacular. Vote rigging is a “storm in a tea cup” nothing for us good folks to worry our little heads about. He also believes if anyone who he thinks has betrayed him and his Party then that person should be “hung, drawn and quartered”, as on Sky TV re Martin Ferguson. Coming from an Iranian it could make one wonder if he understands it is only a figure of speech in Australia. If it is proven he has had his grubby little mitts all over the vote rigging he could start with himself. Pretty bad for sure. Sadly this sort of stuff has been going on for years. It’s reading like a Frank Hardy… (I was about to say ‘novel’ but given that ‘novel’ implies fiction, ‘book’ might be the more appropriate word). …and Frank wrote about the Labor ParDy of the 1950s and earlier. I think we’ve just seen another instance of business as usual. Labor to-day is not even a shadow of what it was 20 years ago. The thieves and corrupt Union Officials have stolen any credibility the party once had. If they ever tried to “go honest” the party would completely implode. The public would be that shocked with the dishonesty which would be exposed that there wouldn’t be any one who would trust this bunch ever again. Self interest and self gratification are more important to these criminals then the work that a position in Government means. Not one of these creations could tell the truth on a stack of Bibles if their life depended on it because the truth is lost to deeply amongst the lies. such as the labor party is ! I’ve been fighting corrupt labor thugs for many years ! And now its time to spill on labor thugs ! Bill Shorten continues to extend the corruption tradition of his father and grandfather, corrupt union pot-stirrers. I have absolutely no doubt that Sam Dastyari was behind the vote rigging which helped Bill Shorten become the leader of the labor party. Dastyari is becoming another Graham Richardson of the labor party. Mr Dastyari is corrupt from start to finish who I suspect struck a deal with Shorten to get someone to tamper with the 50 ballot papers which now has been proven that one of Dastyari’s staff was heavily involved. But in my opinion the real meaning of all this is that Bill Shorten is the real mastermind behind this labor vote rigging. Shorten is capable of anything that would work to his advantage. Shorten is one of the most corrupt politicians in the world. God help us if he is ever prime minister of this country. I think that Shorten is worse than a grub. Spot on Kurt. He is like Gillard will sell his soul to be PM. However, when Gillard got there, she was an utter failure. Thanks for that. Bill Shorten will be a dreadful prime minister, if he ever becomes one. Shorten is a lowlife who would do anything dirty to become prime minister. Even worse he will have his little group protecting him, and I’m sure you know what that means. Gillard & Shorten both come from the sewer of union crime, & both have tried every dirty trick in the book to get to where they have. Sam Dastyari has learnt his lessons well, that is why he is now a Senator. He only got the job because he has done well for the ALP. Dastyari did all the deals with Craig Thomson and his legal people and did a lot of wheeling and dealing when he was the boss in Sussex Street. He would be the expert in vote-rigging, of course he would go for Bill Shorten, that type of people always find each other. It nearly made me sick yesterday when he was interviewing heads of large companies in regard to the Senate-enquiry into tax-evasion. He spoke to these people in such a shocking way. And of course they get paid extra for every committee they sit on, so he is hardly in The Senate and already knows all the extra’s he can get, and it is not a few dollars, it means thousands. Vote-rigging has been a specialty of the Unions and the ALP since the year dot, and they still do, even our State and Federal elections are rigged by that lot. They vote for dead and aging people and threaten their union-members with all kinds of things, such as losing their jobs if they do not vote for the labour-party. It is amazing, that the AEC just close their eyes – again! Why is this getting a run now when it was first brought up in the SMH on 12 February 2015 and in Parliament the same day? http://www.openaustralia.org.au/senate/?id=2015-02-12.171.2. Is it because the ALP head office has chosen to ignore it and now ALP members are disgruntled with inaction? Or is Bill Shorten on the nose? Has the Party finally realised how shallow he is – a man without substance and with a dirty past that will hurt the Party? I’d chose the latter as my answer. Could it be that, thanks to the rule brought in by Kevin Rudd in the hope of protecting his own back from the unsheathed knives, to get rid of the disastrous Shorten, Sussex Street has to manufacture a crisis sufficiently dire to get enough MPs and Party members to vote him out – without rigging the polls?